Just About Anything: Mommy Jac Loves Me! I have been blogging for almost a year now. If I can still remember, I wrote my very first brief blog post last June 25th 2008. And from that short blog post came countless others. My blogroll and online friends even grew, thanks to the many mommies I encountered along the way. 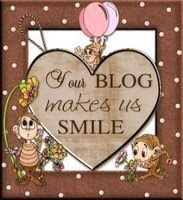 One of them is Mommy Jac and her blog, Mum's Special Diary, which is turning a year old on July 1st! WOW! I guess that calls for a celebration! Mommy Jac is a Pinay mommy blogger from Japan who writes passionately about life and her family, and never forgets her friends when she gives out awards and tags. She is a very proud mommy to her two beautiful princesses Kei and Rio. Do check her blog out for more of Mommy Jac. 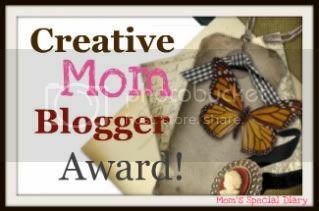 As for the awards, I am so honored to receive the Creative Mom Blogger award from her! ♥Link the person who awarded you.Remember each recipient of the award should acknowledge the person who honored them and go to Mom's Special Diary to copy and paste the award. 1.Mom's Special Diary 2. Just About Anything 3. You're NEXT! Thanks Mommy Jac for the thought and for these awards. What a wonderful way to start the week! dami mo awards mommy! congrats! she’s so thoughtful noh?…so sweet! congratulations on the awards Kamz! have a great week! Hugs for Sam. Thanks much for this! I’ll grab it na and post it as soon as I get the chance! Thanks Mommy Kikamz for this award. Let me grab it now while I’m here and will post it later ok? I will let you know when I’m done ;-). huhuhu..Nakaka iyak naman ang post mo,I’m so touch grabe thank you so much sis,you really deserve the awards.